Whenever I pass by the magazine rack in the drugstore or supermarket, I see these beautiful interiors and exteriors of lovely rural homes on the cover of “Country Living” magazine. Now I don’t doubt that these homes exist somewhere and occasionally I see some very nice homes in the rural areas around Northeast Ohio. However, when I drive around in Northeast Ohio, as I did on Monday, that’s not quite the sight I usually see. 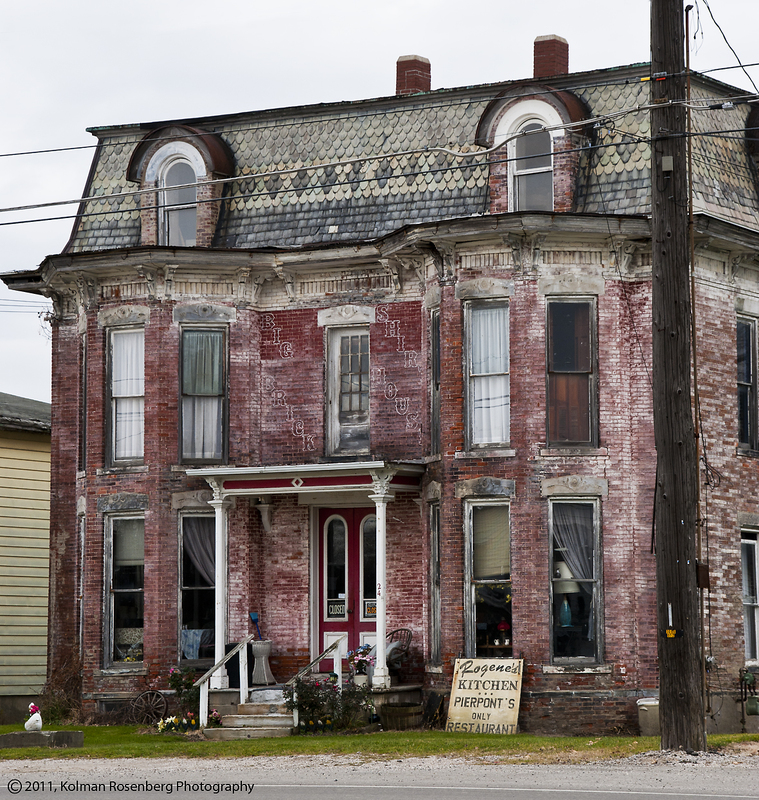 A once beautiful Victorian home and restaurant in Pierpont, OH. 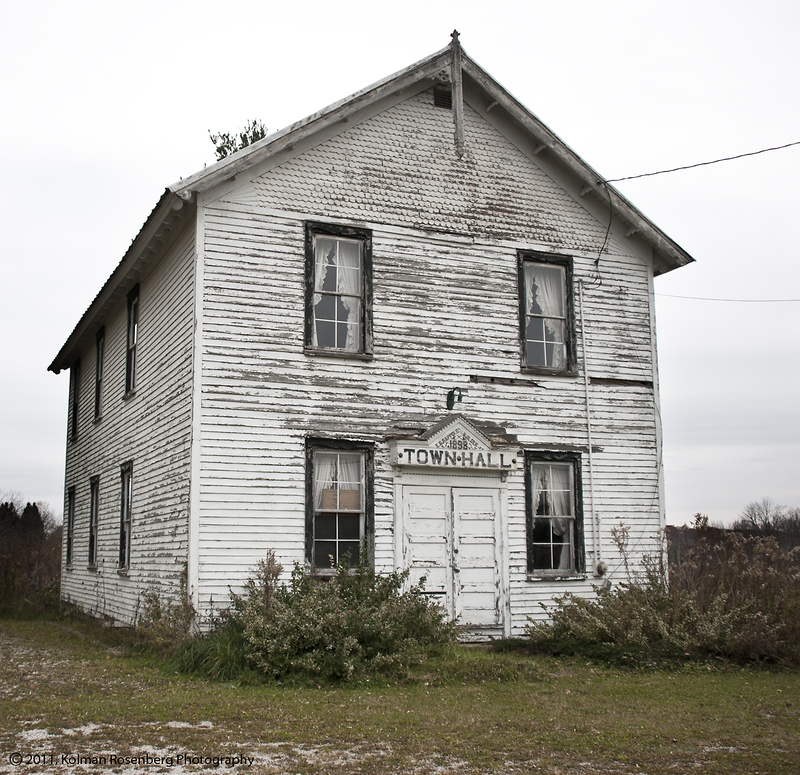 Most of the small rural towns in Ashtabula, Geauga, and Lake County, Ohio show their age rather starkly. 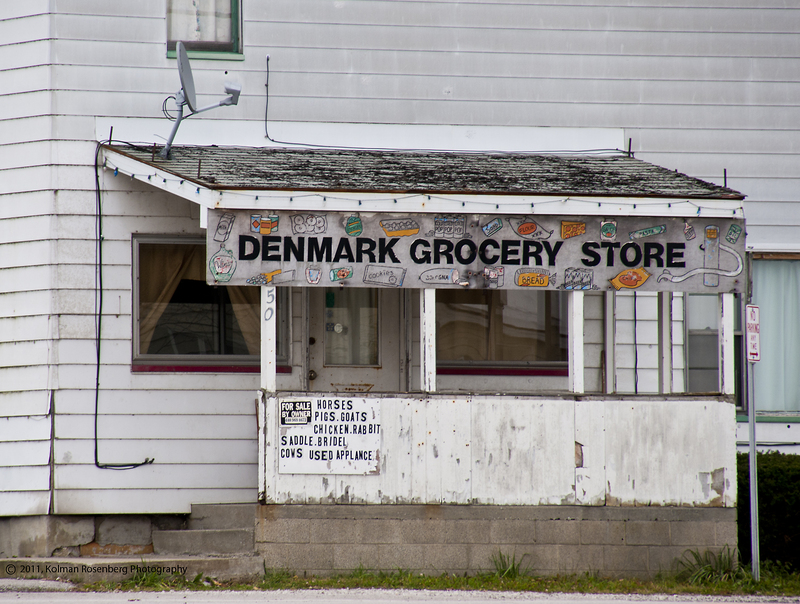 The home/resaurant (above) in Pierpont, OH and the small grocery store in Denmark, OH (below) are pretty good examples of what many of these towns are like. Not exactly what “Country Living” magazine would lead you to believe living in the country looks like. Now that’s not to say that the area is any worse or better than any other area, but certainly not what is depicted in the magazines. 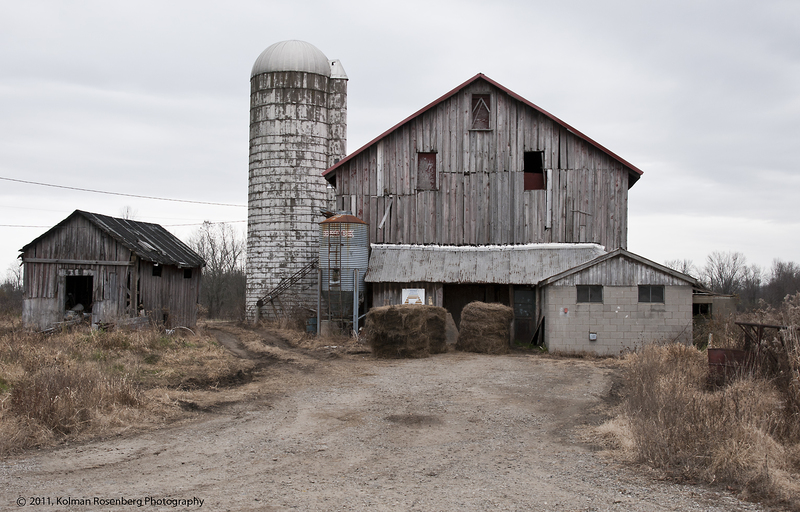 An Ashtabula County barn and silo. Much of the 3 county area is populated by small, functional family farms, growing corn, soybeans, and other grains. The farm building aren’t fancy or extravagant, but they seem to do the job. Trumbull Township old "Town Hall." Some of these old building even have a charm to them. This old village hall in Trumbull Township has been replaced with a more modern town hall and fire station. The replacement cannot compare though to the charm of the old abandoned hall. One of these days, many of these old buildings will be gone and that will be a great loss. Although they are not what many would consider pretty and you most likely won’t see them on magazine covers, attracting the reader to the charm of living in the country, the real country charm will be gone! This entry was posted in Uncategorized and tagged Ashtabula County, Charm, County Living, Denmark, Farm, Geauga County, lake county, Northeast Ohio, ohio, Pierpont, rural, Trumbull Township, victorian. Bookmark the permalink. It really is a shame that everything seems disposable these days! Thanks for the picture of Rogene’s kitchen in Pierpont. I happened upon it one day last summer and couldn’t believe it was a restaurant.. Thanks for your comment Jim. I just saw somebody post a photo of it on Facebook last week and apparently it is still open, though it sure doesn’t look like it is.